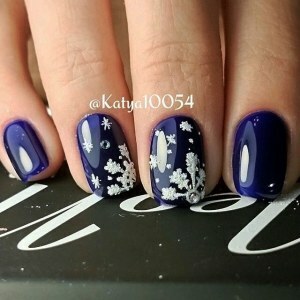 Beautiful blue manicure with white relief patterns and rhinestones on the ring finger. 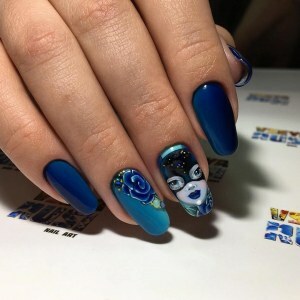 Awesome gel polish nail art design. Short blue manicure with chic inlaid on the ring finger. 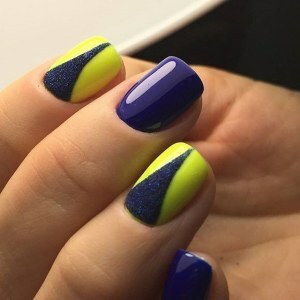 Blue and yellow nail art design with glitter. 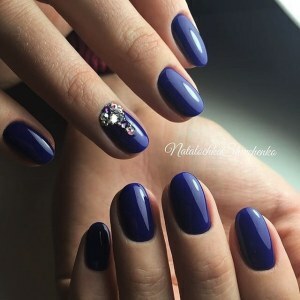 Blue manicure nail design with crystals. 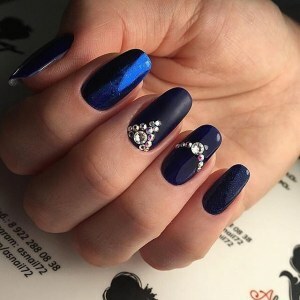 Cool blue manicure with rhinestones. 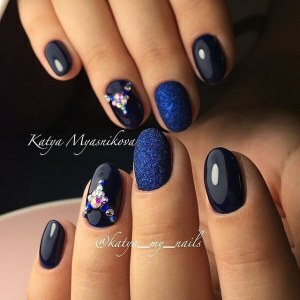 Dark blue manicure gel lacquer and sliders for nail design.